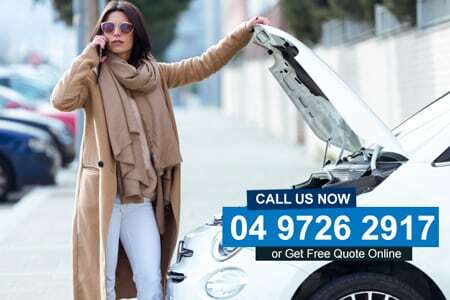 Get Cash For Cars Removal Leederville by contacting us today. We buy cars for money and help you empty the space that unwanted vehicle occupies. There is nothing like a broken car lying around to trigger stress. And getting rid of it cannot be easy. However, with us, it is as easy as calling us and saying “I’m ready to sell old cars for cash’. And there are other so many advantages that it is always better to hire professional Cash For Cars Perth like us. As a Car Buyer Leederville, we come across many different vehicles. And we feel that each car is as unique as the owner and therefore the price vary even if it’s the same car. Consequently, we never reject a vehicle. Because no matter the condition of the vehicles, they will fetch a reasonable price in the market. Also, to make things easier for our clients, we buy American, Japanese and European car makers as well as all popular models. The current popular models consist of UTEs, SUVs, 4wds, campervans, buses, trucks, and vans. So, if you own any of these models feel free to scrap cars for cash with us and you will be able to make fast cash for cars. Another pleasant thing is that we don’t pay attention to the condition of the vehicle. We regularly buy and pay cash for used cars, cash for damaged cars, cash for unwanted cars, and cash for accidental cars. Thus, whenever you are ready, call Car Removals Perth and free up space by getting rid of the unwanted vehicles. It is essential that we follow Car Recycling Leederville. The reason is if we don’t pay heed to how we harm the environment today, tomorrow it is we only who will suffer. MRZ Wreckers Perth strongly believes in recycling as much as possible. Therefore, whenever we buy a vehicle, we try and utilise each part of the car or sometimes even the car as a whole. And if there is nothing left to use as is form, we recycle the metal and use it. The only thing that goes to landfills from our end comprises of the items that are non-recyclable and non-reusable. Thus, we not only reduce waste but also reduce the burden on the natural resource. Need a Car Wreckers Leederville? Contact us. We are the best Car Wrecker Perth in business. With our wide range of services and reach, we cover the entire area. So, no matter where you live, you can enjoy our facilities as local cars for cash buyers. We enjoy working with all types of car and our passion reflects in the way we handle your requirements. We pay a considerable amount and offer free car removal services to hasten the deal. Furthermore, we are available 24/7 to accommodate your needs at your convenience. Additionally, we also have all the licences and approvals to handle cash cars for sale for all types. So, without hesitation call us and get money instantly. Fed up of truck repairs? Time to call Truck Wreckers Leederville! We are the most competent Cash For Truck Perth service provider. Give us a call, and within 24 hrs you will get the cash, and we will tow away your truck. With our resources, we have the fastest turnaround time in the industry. We get to work after we receive the call. Thus, you don’t have to wait for us to come, complete the process, make the payment and so on. You will be counting cash even before you know what is happening. You can dial 04 9726 2917 and speak to our team member. We are available 24/7 on this number. Alternatively, you can also email us on [email protected] with any queries you may have or to accept the offer. You can also visit our website and fill out the forms to get cash for cars online quote instantly. The Ultimate Guide To How To Sell Your Used Car 4 Good Cash? A reliable service provider to offer good money for my old car. Unlike everyone else beating around the bush they were quick, smart and well-trained. I’m satisfied with the money received post sales for old, junk trawler. It was a quick transfer into my account without any follow-up or calls for asking money.